Netflix is arguably the most recognisable and widely used premium TV and movie streaming service in the world. However, with limited regional catalogues, at least in comparison to the variety offered with its US-only service, many customers worldwide have opted to use online tools for bypassing the geo-restrictions from their own location. In January 2016 Netflix announced its expansion into a staggering 130 countries, which puts its total coverage at 190 countries. Now you can subscribe in the vast majority of places around the world, though because of different licensing agreements for different markets, media catalogues will vary, plus the fact that Netflix curates content based on what it thinks locals will enjoy. Do not fear, subscribing to a VPN allows you to overcome these restrictions, granting you access to any media catalogue you like. In this guide, we’ll take a closer look at the history of Netflix, as well as the issues surrounding its geographic content restrictions. We’ll also list our top recommendations for VPN and Smart DNS services to use specifically with Netflix. Update: From January 2016, Netflix announced that it will begin blocking proxy and VPN users from accessing geographically restricted content. This article provides no guarantee that the recommended VPN and Smart DNS services below will succeed in bypassing Netflix geo-restrictions. Netflix is a renowned and hugely popular online subscription service for streaming movies and television shows. Founded in 1997 in Los Gatos, California, the company began trading as a video rental outlet and has since grown to enormous proportions, especially after revamping their business model to focus on internet streaming. Pioneers in delivering easy access to entertainment, they currently boast over 62.3 million subscribers worldwide, with over 42 million subscribers in the US alone. Their subscriber base grew by a record 4.9 million during the first quarter of 2015 and they have enjoyed widespread critical acclaim within the entertainment industry. In 2014 the Netflix production The Square (2013) was nominated for an Academy Award, while in 2013, three of their own-backed series, House of Cards, Arrested Development, and Hemlock Grove, were nominated for a Primetime Emmy. Currently Netflix provides streaming services throughout North America, Australia, New Zealand, South America, and many countries in Europe, including Denmark, Ireland, The Netherlands, Norway, Sweden, Finland, France, Switzerland, Austria, Belgium, Luxembourg, the UK, and Germany. In North America, they also operate a DVD-by-mail subscription service where DVDs are sent via Permit Reply Mail. Despite the success of this service, which began in 1999 – and by 2009 delivered 100,000 titles to over 10 million subscribers – their online video-on-demand (VOD) platform has snowballed in popularity since its introduction in 2007 to become the current market leader. In 2013 Netflix owned the biggest source of North American downstream web-traffic at 32.3%, as well as 28.8% of aggregate traffic. As of April 2015, Netflix reported a total revenue of $1.57 billion, a staggering increase of 24% from $1.27 billion during the same quarter last year, not to mention the expected growth for the near future. Despite their international success, Netflix has faced criticism because of restricted media catalogs in countries outside of the US, meaning that some of the streaming content available to US citizens is blocked for those living elsewhere (many readers will be familiar with the error message: “This video is not available in your country”). According to Netflix, this is because of licensing and legal requirements set by third party content providers, though as of yet the company hasn’t clarified exactly why these restrictions are in place when subscribers pay an equivalent fee – in the case of Australia it’s even more – regardless of country of residence. However, subscribers are able to access Netflix’s US catalog in countries outside of the US by using VPNs, Smart DNS, and proxy services. What’s more, individuals can use IP masking software to access Netflix in countries where the streaming service is not yet launched. At the start of 2015, 30 million users were accessing content using location-masking services, with 20 million of these coming from China alone. Because of the volume of users accessing Netflix content in this way, and because of the fact that US-based subscribers may be using VPNs for other reasons, it seems unlikely that the company will crackdown on the use of VPNs on a mass scale, though several reports suggest that Netflix are doing just that. 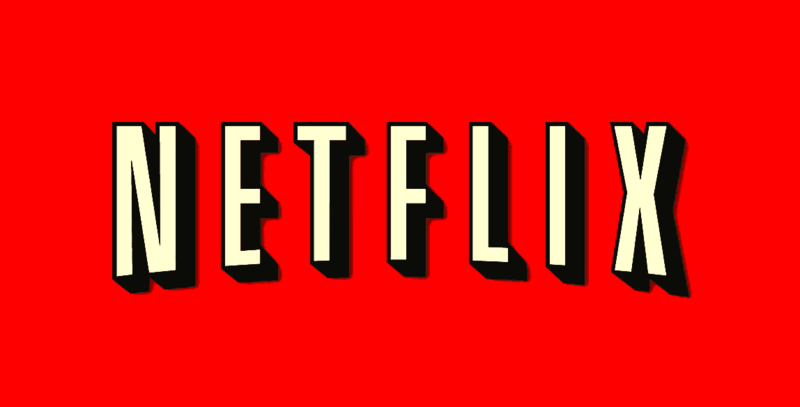 In January 2015, it was reported that several film studios had urged Netflix to block subscribers who use VPNs or other geo-masking services. According to a Reddit announcement from the same month, the use of DNS unblockers on newer versions of the Netflix application for Android were targeted, as well as several VPN IP-ranges. Although instances of blocked access were isolated, users of well-known VPN provider TorGuard reported a surge in temporary access problems to Netflix, though these were easily resolved by users switching to another US IP address. Sceptics have suggested that the temporary nature of the problem indicates the future intentions of Netflix to unveil a more widespread block, though others argue that Netflix will not jettison a large proportion of their subscribers. Later in the year, Sony Pictures conducted research to identify the IP-ranges of various VPNs and proxies. Their results were then shared with Netflix and other streaming services so that they could take appropriate action, though Netflix’s reaction and current position on VPN use remains ambiguous. Allegedly, Netflix are employing techniques to block VPNs, including querying the user’s time zone through the web browser or mobile device GPS and comparing it with the time zone of their IP-address, though instances of these practices are unconfirmed. Due to public pressure, Netflix released a statement saying that their policy remains unchanged on VPN use, i.e. they are not blocking the use of VPNs, though it’s clear that the company are facing mounting pressure from copyright holders. According to recent reports, other streaming platforms are testing similar blocking methods, including the VOD provider HULU. In April this year the HBO Now streaming service blocked access to Australian users who used Smart DNS to overcome geo-blocks. According to reports, Aussie subscribers received warning letters stating that their account would be shut down if they failed to provide a justifiable appeal. Netflix has also garnered criticism in Australia since its launch there in March, primarily for its subscription prices, which are markedly higher than in the US, but also for its restricted content library, both of which have resulted in widespread support for VPN and DNS services. As things stand, it’s unclear whether or not Netflix will be pressured to block VPNs, but even if they are, it’s likely that VPN developers will stay one step ahead of the curve, as has been the case so far. To help users access Netflix outside of the US, or to overcome restrictions on VOD content, we’ve drawn up six of our favorite VPN and Smart DNS providers specifically for use with Netflix, check them out below. OverPlay is primarily a Smart DNS provider, but it also offers a VPN service with an extensive server network range. It offers an array of channels and streaming services as part of its Smart DNS package, with networks from over 21 countries available to pick from. There is also a Smart DNS application for iOS devices. Its VPN network has a major global outreach, spanning Europe, Americas, Asia, Africa and Oceania. Available encryption protocols include PPTP, L2TP/IPSec and OpenVPN. OverPlay also provides some unique features specifically for combating geoblocks, including JetSwitch, which allows users to simultaneously unblock channels restricted to multiple countries via their account dashboard. ibVPN also offers two options: Smart DNS (referred to as ibDNS) for heavy streaming and a global VPN to protect your privacy and to keep your streaming activities secure. At the time of writing, it has 95 VPN servers in 39 countries, with a total 63 locations, and around 200 unblocked channels and streaming services. If you live abroad and need to access other country-restricted websites/services as well as Netflix, such as BBC iPlayer, Sky Go, Pandora, and many more, ibVPN will allow you to access the internet from your desired country, unblocking your favorite sites in an instant. The level of security can be instantly configured with ibVPN’s Windows software or iOS application, which lets you change your required security protocol between PPTP, L2TP, OpenVPN and SSTP. PureVPN is primarily a VPN service, which also offers 220+ channels, including Netflix, with its add-on smart DNS service and is accessible on any supporting device. PureVPN offers some unique benefits to its users, including its own tier-1 infrastructure and the fact that it has one of the largest server networks on the market. Another benefit is that users can connect on up to five different devices, without breaking the company’s TOS. PureVPN supports many protocols, including PPTP, L2TP/IPsec, SSTP, OpenVPN, and IKEv2. It supports a wide variety of platforms, including Android, Windows, OS X, iOS, and Linux. Its website has many tutorials showing how to use its own client and provides setup tutorials for many native platforms. There are a variety of add-ons, such as Split Tunneling, Internet Kill Switch, Automatic Protocol Selection, DDoS Protection, Dedicated IPs (with NAT included), Stealth VPN browser, and Smart DNS, which is equipped with over 200 channels. CactusVPN is a fairly small yet reputable VPN and smart DNS provider. Despite only offering servers in four countries (USA, UK, Netherlands, and Romania), users won’t have a problem accessing Netflix and other popular streaming platforms, since most of them are hosted in the available regions.  At the time of writing, CactusVPN provides access to over 130 geoblocked websites. The VPN service offers the following protocols: PPTP, L2TP, OpenVPN and SSTP. The easy to use desktop client for Mac and Windows is ideal for those users who regularly change their VPN configuration. What’s more, unlike other desktop apps, the desktop client does not appear in the taskbar and can be found in your hidden icons. CactusVPN allows offers OpenVPN, meaning that users do not need to download a separate client for the protocol. Unblock-Us is a dedicated Smart DNS service optimised for bypassing geographica restrictions and gaining access to blocked channels and streaming services. There is a wealth of channels to choose from – as evident in the full list of unblocked services on the provider’s website. These are categorised by video on-demand services and TV channels dedicated to sport, music and childrens’ entertainment. Conveniently, Unblock-US also publishes key dates for upcoming sports events. Its website states that the provider offers a feature called Smart VPN, a feature that sends the user’s traffic through a VPN tunnel. However after chatting to one of their employees, it became apparent that the feature has not yet been fully launched and is still in development stages. Like most of the above mentioned providers, HideIpVPN offer both VPN and Smart DNS services. The company is registered in the United States, while the provider operates out of Romania. At the time of writing, it has servers in five countries – UK, US, the Netherlands, Germany, and Canada – with eight servers in each country. As well as its subscription services, HideIpVPN also has a free trial for VPN and Smart DNS in the US, UK, and the Netherlands, but expect slower speeds and less reliable encryption (note that for the free trial, all P2P and BitTorrent activity remains restricted to Dutch and German networks). HideIpVPN offers the following protocols: STTP, OpenVPN, SoftEther, PPTP, and L2TP/IPSec. For the VPN service, there is no restriction on bandwidth and there are no traffic limits. The provider does not collect traffic logs and offers 24/7 support.